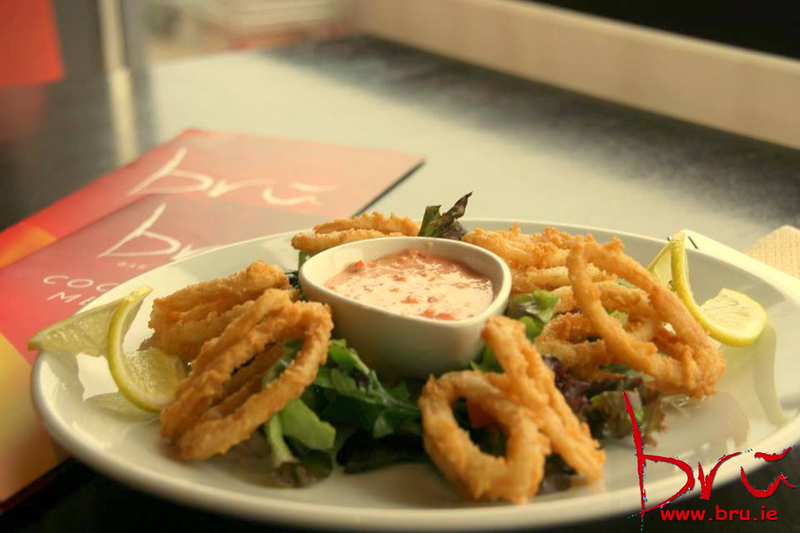 Our group bru 26 menu - a 3 course meal for €26 runs seven days a week from 5pm! 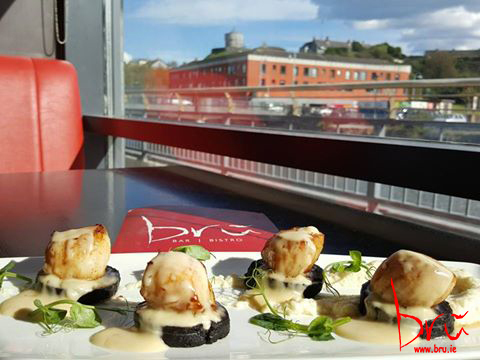 Mid-week brú is ideal for an evening treat when you don’t fancy cooking, but don’t want to break the bank. Our evening a la carte menu runs seven days a week and covers a wide range of dishes from our most popular Brú Rua Beer Battered Fish & Chips to our trademark signature Spicy Chicken Wings. Have a bite to eat on your own, with friends or with someone special, our friendly and welcoming staff will be happy to look after you. … and as for the weekend, during the evening brú comes alive and the party atmosphere starts! 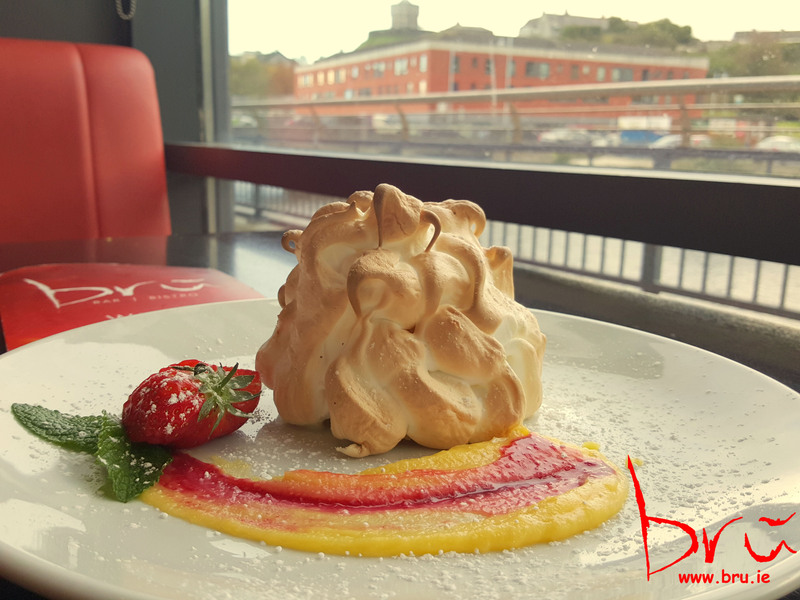 Enjoy a romantic meal for 2 in a quiet partitioned off corner of the bistro, or come along with family and friends and celebrate in style with our excellent value bru 26 group menu (a fabulous 3 course meal for €26). After your meal, enjoy an after dinner drink in our stylish first floor martini bar! Booking is highly recommended Fri-Sun.